The special one has come under-fire recently following Chelsea’s poor form in the premier league as they find themselves at 16th place on the log. Although reports claim that Mourinho has full backing from the board, the Chelsea boss could still get the sack if results go downward from here on. 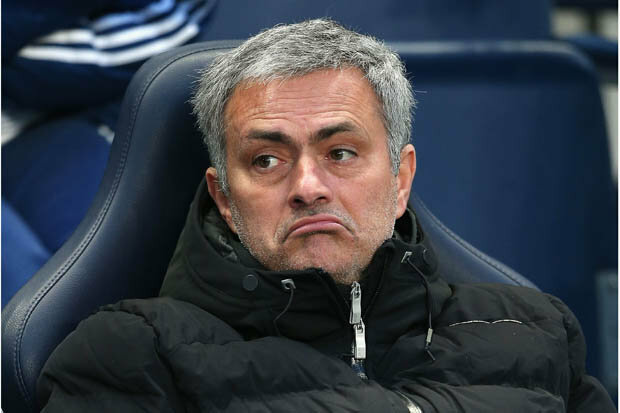 Chelsea most recently suffered a 1-0 loss away at the Britannia against the Potters, Mourinho was absent in that game due to a stadium ban imposed upon him by the FA. With Mourinho under pressure following Chelsea’s unimpressive showings here are five possible replacements for the Portuguese tactician. The experienced Italian coach has already had a successful spell with Chelsea, winning multiple trophies in his time with the Blues. Ever since his Chelsea exit he has gone on to win the coveted UEFA Champions League trophy for Real Madrid, which was their tenth champions League win in their history ‘La decima’. Ancelotti has already made known his desire to return to football management and he could very well return to Chelsea should Mourinho get the sack. Simeone has amassed a total of five trophies in just 4 years at Atletico Madrid including breaking Real Madrid and Barcelona’s La Liga monopoly . Diego Simeone can be said to be a fiery character who has a way of getting the best out of his players having been a player himself back in the day. Although it’s quite unlikely he would leave Atletico in the middle of the season but a summer more is quite possible. PSG’s Laurent Blanc is a well decorated Manager having won all there is to win in the French top level Despite having a short spell in charge of the French national team. Blanc has been unable to win the Champions League with PSG even when presented golden opportunities. His PSG side knocked out Chelsea in last season’s UCL round of 16. After being axed from the Liverpool setup , it seems quite unlikely that Abramovich will look into signing Brendan Rodgers. And many Chelsea fans won’t take kindly to his appointment as he was the manager of a fierce rival of the club. If offered the role Rodgers will definitely take it as it would be a great opportunity to get back into top flight football. Roman Abramovich could look into signing the Dutch tactical genius. The Saints are currently on an unbeaten run in the premier league and it can all be attributed to Koeman. Koeman seems to have an eye for talent, bringing in the likes of Graziano Pelle and Sadio Mane into the side last season. He would be a great fit for the reigning premier league champions.